ComputerXplorers is committed to providing a quality service delivering innovative technology sessions to children in pre-schools and primary schools. 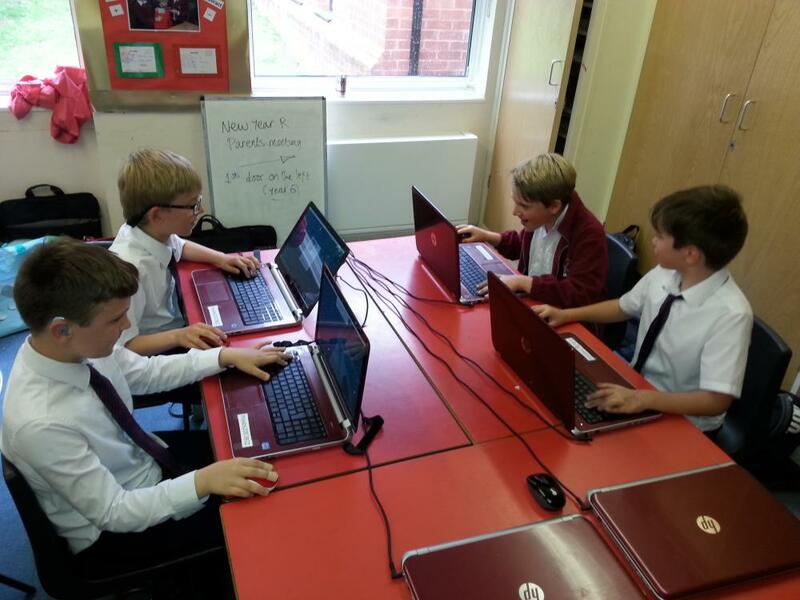 Our aim is to ensure that ComputerXplorers sessions are welcomed by teachers, valued by parents and encourage children. We believe that feedback is an essential element in continually improving our product. He’s very excited about this (TV Presenter)! Thanks for making the club so much fun. I had an awesome time. I really enjoyed exploring other areas of gaming, such as coding. I would definitely tell people to go to this workshop. I learned a lot and had fun! [My son] has really enjoyed the sessions. I liked the club because you got to make robots. Really good, my favourite bit was the LEGO Robotics. Brilliant! I enjoyed both Kodu and KIDPIX Animation the best. The best holiday camp ever! The CX Holiday Workshop was very good and especially I enjoyed playing minecraft! I had a lot of fun and I learned a lot about computers. Looked mega fun. All the kids were going nuts! Fantastic fun." "My son is only 6 years old but is thoroughly enjoying computer club! Deborah is a fantastic teacher!" My son has thouroughly enjoyed his two days with you and this has definitely peaked his interest in computing! Thank you. Guy was a complete beginner to programming, but gradually settled and gained competence, and has learned a lot. Thanks for your help! "Fantastic! Both Kids absolutely loved it. They couldn't stop taling about it! We will definitely be booking again." "This (CX Summer Holiday Workshop) was really cool and I would go back." "Epic! I really loved it! "This was the ONLY holiday activity that my son was excited to go back to." "He loved it. Neo said, "Can we make that club daily? Great. Thank you!" "It was amazing there were really good activities." The games were awesome and cool. The LEGO games were epic." "I thought it was really fun." "Lloyd has really enjoyed this, thanks." "FUN, GREAT, FANTASTIC! My son wants to come again!"